With her beloved younger siblings settled and happy, Erin Foley has empty nest syndrome. At age thirty-five. So she's hitting the pause button on her life and holing up in a secluded (but totally upgraded—she's not into roughing it) cabin near Virgin River. Erin is planning on getting to know herself…not the shaggy-haired mountain man she meets. In fact, beneath his faded fatigues and bushy beard, Aiden Riordan is a doctor, recharging for a summer after leaving the navy. He's intrigued by the pretty, slightly snooty refugee from the rat race—her meditating and journaling are definitely keeping him at arm's length. 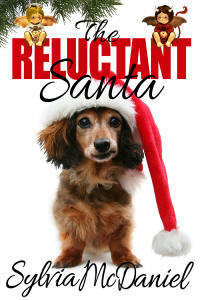 He'd love to get closer…if his scruffy exterior and crazy ex-wife don't hold him back. But maybe it's something in the water—unlikely romances seem to take root in Virgin River…helped along by some well-intentioned meddling, of course. Virgin River with it remarkable inhabitants is an emotionally rich place to visit or to live. There is a “realness” about events, conflicts, needs, and people in and around Virgin River. It makes the reader feel as if she is a part of the lives and actions of the characters. The road named Moonlight glows like a phosphorescent ribbon as the moon goes down and the sun comes up at dawn. It hints of Erin and Aiden’s story. Their pasts have had lots of shadows, making it difficult to see the way while the constrains and duties have made their lives little more than a reflection of lives other people seem to enjoy. But, day breaks and their futures become vibrant with living, loving, and reaching for their total fulfillment. Thirty-six year- old- Aiden Riordan, on vacation as he transitions from a military career to being a civilian doctor, hikes with a machete and backpack. He is enjoying the freedom of not shaving and dressing casually. A marriage that lasted three months eight years ago makes him shy away from relationship. However, Jack, owner of the local bar, tells him Virgin River is known for being an environment where monumental emotional changes happen. He has examples to prove it. If you have read previous Virgin River novels, Moonlight Road will seem like a visit to catch up with old friends and neighbors. Moreover, it will introduce you to Aiden and Erin and let you vicariously experience the exhilaration of romance as Aiden and Erin, an uptight, overachieving, who is taking her first vacation ever. BTW, Aiden is a lover after one’s own heart! Moonlight Road is a gentle story of people that, in the past, coped with adversity along with some severe growing pains, but they have come to a time of more mature trials, fears, joys, and a better understanding of human nature and of their own frailties. The discord Annalee brings to Virgin River brings about some hair-raising happenings that raises the blood pressure and makes the heart pound. Robyn Carr creates characters that give the reader an emotional roller-coaster ride from the joy at the birth of a child to the fear felt when facing a loaded gun held by a sociopath. She also creates love scenes that sizzle as one falls in love with Aiden and rejoices with Erin. Moonlight Road is a special treat!